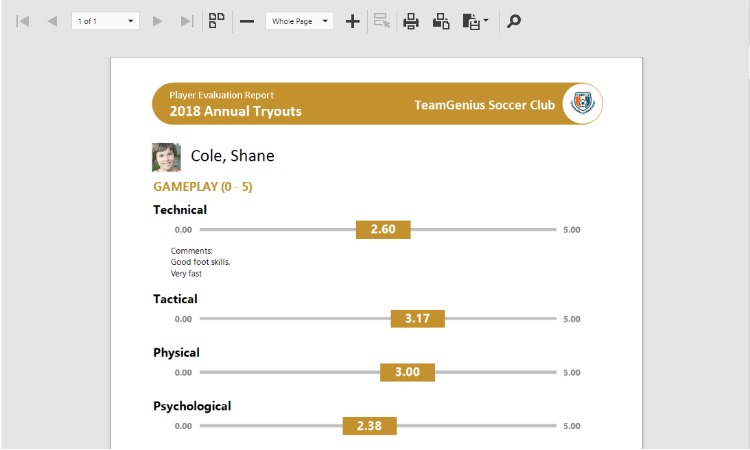 Clubs, associations and leagues across the US and abroad are ditching the paper and clipboard in favor of digital evaluations with TeamGenius. 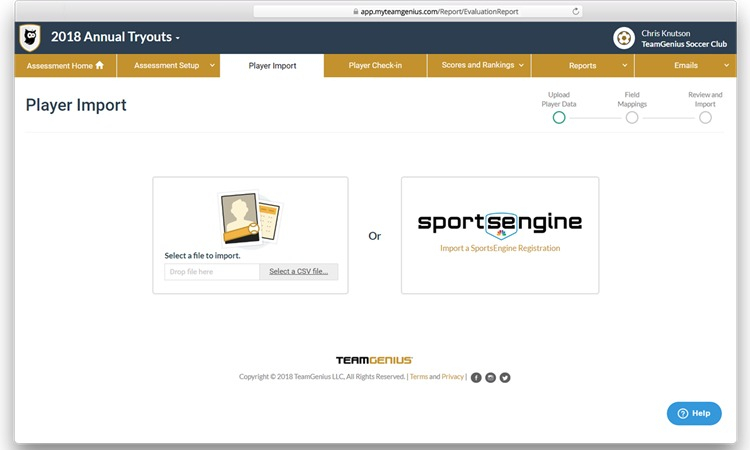 TeamGenius allows organizations to streamline evaluations of all types with a powerful yet easy-to-use technology solution. 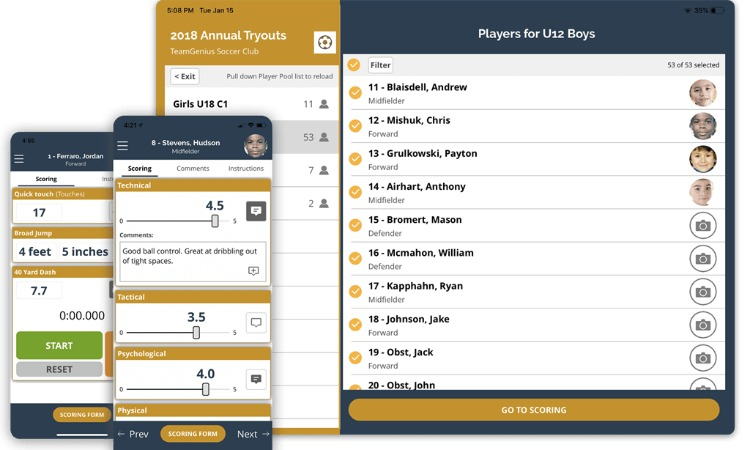 Replacing the paper and clipboard with a simple and intuitive mobile app. 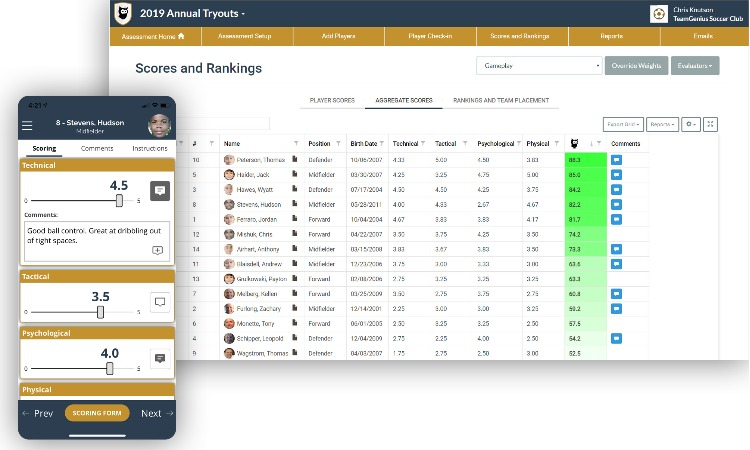 Providing player rankings and results immediately online. 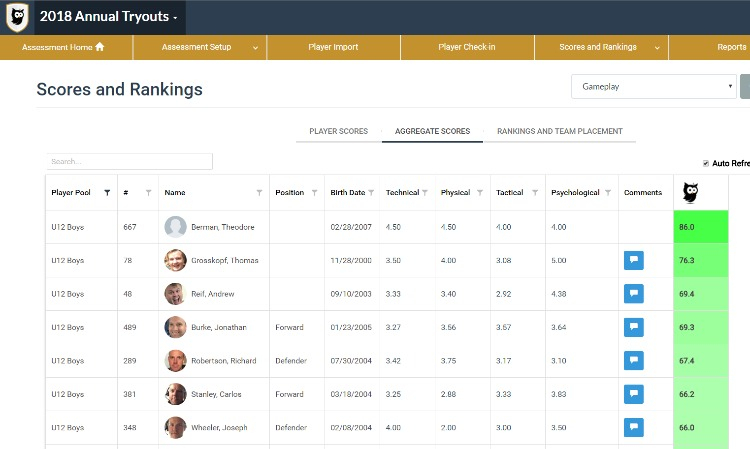 Creating player feedback reports and tracking player development. 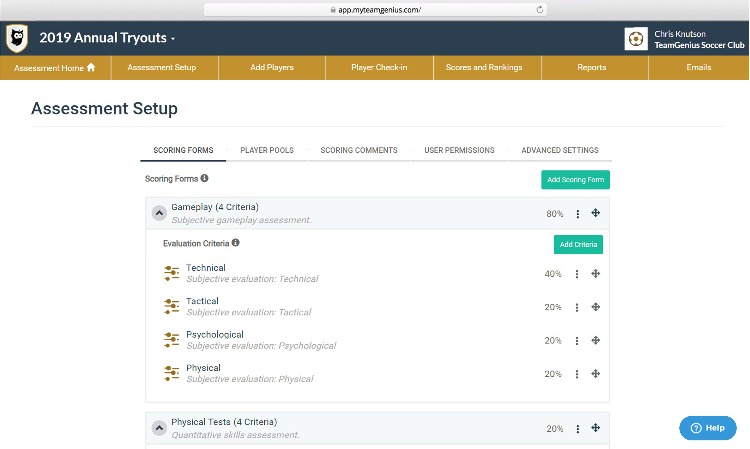 Making it easy to communicate tryout results and feedback reports with coaches, players and parents.